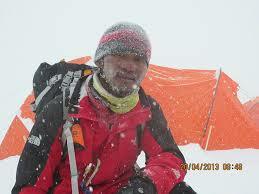 Aizawl, May, 23 : Mizoram Chief Minister Lal Thanhawla today announced that the state government would give Rs 5 lakh to David Zohmangaiha who was among the climbers from the north east to scale the Mount Everest, an official statement said here today. Another person from Mizoram, Vanllaliana, who was in the team as a base camp manager from the state Sports and Youth Services department, would also be given Rs three lakh. "Zohmangaiha and Vanllaiana would be given a grand welcome by the state government when they arrive in Mizoram," the chief minister was quoted as saying. The expedition, the first ever comprising exclusively of mountaineers from the North East, is being executed under the leadership of Manipur Mountaineering and Trekking Association (MMTA), under the leadership of its president Dr L Surjit, and funded by North Eastern Council with support from Planning Department of Manipur.